A self-financing, Linguistic Minority institution managed by the K. V. Education Trust, Cheruppaloor, Kulasekharam, Kanyakumari Dist. The College is blessed with a sylvan and serene atmosphere. The land scape, true to its nature, is undulating. It is pollution free. There is a network of roads beside the college providing good access to it. In every way it is an ideal place for the pursuit of intellectual initiatives. 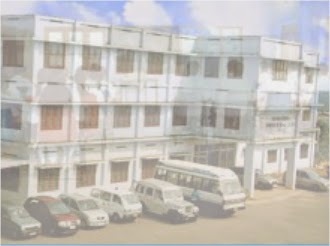 The College is located at Kulasekharam in Kanyakumari Dist. of Tamil Nadu. It is 50 Kms. away from Thiruvananthapuram and 40 Kms. away from Nagercoil. The College is situated some 100 meters from Convent Junction, Kulasekharam enroute to ‘Thirparappu’. The college is rail connected upto Marthandam enroute to Kanyakumari from Thiruvananthapuram. There is a distance of 12 kms. to the College from Marthandam Jn. on NH-47 which is lavishly connected by bus services of Kerala and Tamil Nadu States. The College has a landed area of about 10 acres with huge buildings with a covered area of 1 lakh sq.ft. for accommodating College, Hospital, Hostels etc. There are foolproof arrangements to ensure availability of water and electricity throughout. Approved by the Tamil Nadu State Govt. Affiliated to the Tamil Nadu Dr. M.G.R. Medical Uty. Recognized by the Central Council of Homoeopathy & Dept. of AYUSH,M/o Health & FW, Govt. of India. Last date for receipt of filled in application: 21-07-2014 – upto 3.00 p.m. Course Eligibility: Candidate should possess the Degree of Bachelor of Homoeopathic Medicine and Surgery or equivalent qualification in Homoeopathy included in the Second Schedule to the Homoeopathy Central Council Act, 1973. Completed applications along with necessary enclosures should reach The Secretary, Selection committee, Directorate of Indian Medicine and Homoeopathy, Arignar Anna Government Hospital of Indian Medicine campus, Arumbakkam, Chennai.